How would the U.S. put the indicted Russians on trial? Legal analysis: If Trump asks Putin to turn over his intelligence operatives, Putin will turn them over only if he wants to. The United States has bilateral extradition treaties with a long list of countries (PDF). The government might have forgotten one, however. In 1893, the U.S. Senate ratified an extradition treaty with czarist Russia, which was first proposed in 1886. According to the State Department, many Americans opposed the treaty, fearing that Russia would use it to obtain personal jurisdiction over Russian political exiles who had fled to the United States. The United States has changed considerably in the century following the treaty. Russia has changed much more. From czars to revolution to the Soviet empire to today, the monarchical autocracy that entered into the original treaty was several regimes back. As for the United States, a 1974 State Department document summarizes significant dates in the history of the treaty, concluding — with no explanation — with a single word: "obsolete." The fact that Russia doesn't appear in a present-day statutory list of countries with U.S. extradition treaties indicates that the government no longer recognizes the 1893 treaty. But treaties don't just fade away. They must be abrogated (PDF). Is it possible that no one bothered to formally abrogate the treaty and instead just "considered" it informally abrogated? Even if the treaty was still in force, the language provides that the United States or Russia "shall not be required to deliver up their own citizens or subjects." In addition, the enumerated extraditable crimes in 1893 didn't really contemplate the offenses in the indictment of 12 Russian officials issued last week by special counsel Robert Mueller, such as aggravated identity theft. The treaty's extraditable crimes list did include abortion, piracy and destruction of railroads. And finally, if extradition was sought for an "offence of a political character, surrender shall not take place" under the treaty. 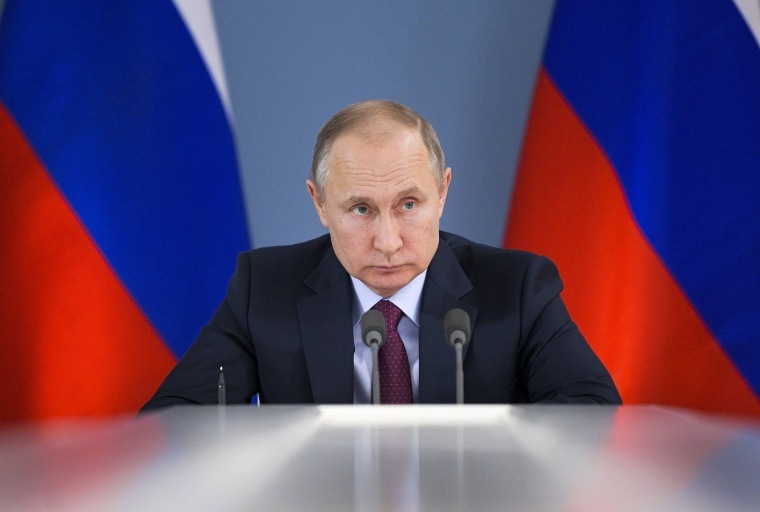 While hacking isn't really a political crime, Russia might say the counts in the indictment are just cosmetically enhanced political offenses, particularly since the Russians were attempting to disrupt the 2016 presidential election in the U.S. The bottom line is this: Treaty or no treaty — and it's likely "no treaty" — if President Donald Trump even asks Russian President Vladimir Putin to turn over his indicted citizens, Putin will voluntarily turn them over only if he wants to. What if the United States takes matters into its own hands? What about some clandestine government operations, involving deceit or even kidnapping? Our government is fine with that. It's been done many times before. In fact, the U.S. Supreme Court has held that a defendant's forcible abduction doesn't prohibit his trial in a U.S. court for violations of U.S. law. It's likely that the Russian defendants might never be brought to trial in the United States, but it's not impossible. Trump could achieve their return through diplomacy. Or it might be achieved through what's called "irregular rendition" — that is, taking matters into its own hands and bringing defendants to the United States against their will, forcibly.